WHEN Warren Rice was 14 years old he had an accident. Riding down a hill on his pushbike he played chicken with a motorbike and lost. While he was lying in hospital one of his father's friends asked, "Are you going to send him back to school?" Warren's father replied, "I don't know what I'm going to do with him." "Well, one of my mates is looking for an apprentice signwriter..."
And so began what was to become Rice Graphic Images, one of the most technically progressive companies in not only applying graphics to truck curtains, but making them stand up to weather, rough treatment and the test of time. Rice Graphic Images commenced business in Kyabram, Victoria in 1965. In 1992 the company moved to Wodonga and this year marks another 20 years of operation in that town. Son David joined the family enterprise as a 16-year-old apprentice to Warren. Thirty years on, David is now managing director of RGI. before me. As far as I'm concerned I learnt from one of the best in the business," he said. In 1988 the Rices had started experimenting, painting on PVC with regard to tautliners. "There were one or two others trying the same thing, but back then it was considered technically impossible. Paint was flaking off trucks everywhere. We developed a coating to preserve the artwork. I used to go around to all the little truck shows with a piece of PVC that was painted on and coated with our product. I'd draw on it with a texta, wipe it off with some thinners, screw it all up, flatten it out again and people would play with it. 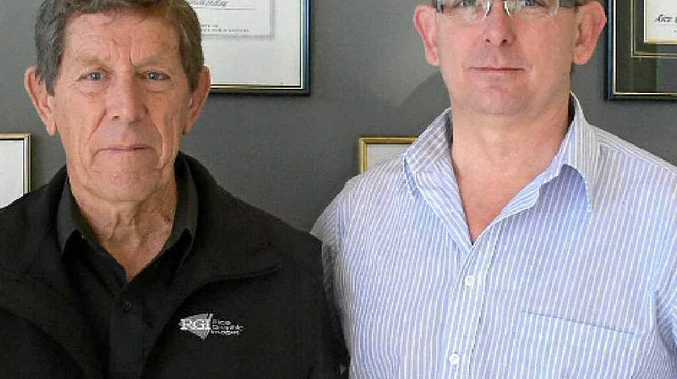 "We had a break when Kreskas Brothers Transport gave us our first commercial job. It soon became apparent that we needed to be near the freeway to service the transport industry, hence the move to Wodonga. "One thing led to another. We couldn't get curtains repaired fast enough. People wanted their curtains repaired as well as painted, so we set up a curtain repair section. "We were working with digital print companies back then because the technology was so rare, and we continued to develop the coating side to ensure that the print jobs would last on the PVC. Now, of course we do everything from design to print to coating, all in-house." As well as Wodonga, RGI services Melbourne and Brisbane. There is a division in Geraldton, Western Australia and in Sydney. This is aimed at providing quick and efficient service. "If the client's in Sydney, for example, we need to make sure that they can virtually drive in-drive out. We can wrap the cabin, sign write the rear doors, fit the curtains - in as little as a day. Minimum downtime off the road is mandatory."